What should Highgate do with its kerb side? 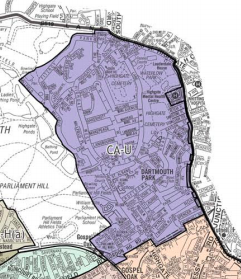 When Camden announced that it was going to review the provision of CPZ spaces in the CA-U zone (see the Forum blog and the map below), The Forum and Highgate Society decided to do some research to find out more about the availability of kerb space in that part of the CA-U zone that is (loosely) in the Highgate Forum area. 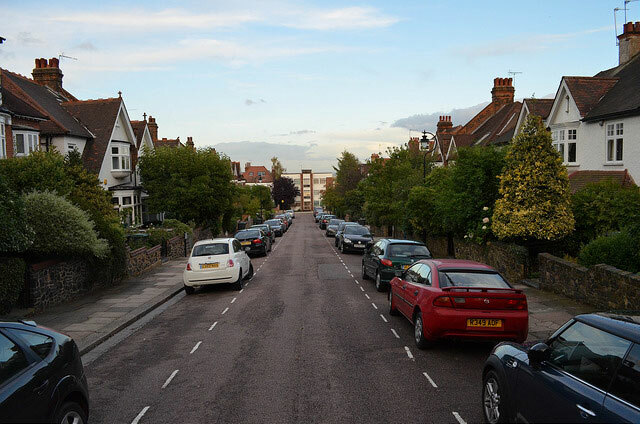 We counted the number of cars on each street during the afternoon and at night, and concluded that, in this part of Highgate, there is plenty of room for residents and for visitors but the space could be allocated more fairly and over longer hours to the benefit of all. The review offers a great opportunity to get parking right for Highgate – residents, traders and visitors can all gain. The third point is by far the most important. In effect Highgate has 250 car parking spaces and the community should “use” them to best effect. At the moment the area has considerable parking stress. This is bad for residents and for visitors: businesses and community services (parks, classes, doctors) suffer if people can’t get to them. Currently, it is hard to imagine why anyone would drive to Highgate on a weekday afternoon when it is quite normal to circle for a long time waiting for a car to leave or eventually parking some way from the village centre such that driving was not really worth the effort. Double parking and illegal parking is commonly seen in the area. There is no doubt that many of the cars that do come to Highgate park for the whole day, and many of those drivers on-commute to places outside Highgate (where parking restrictions are tighter or parking is more costly). It seems odd that Highgate should be so welcoming to the cars of those who then go elsewhere. It makes no sense. Highgate should use those spaces for residents, visitors, deliveries, business owners and business users. There are two very different areas of public roads with very different pressures: the largest area, loosely in the village, has intense parking stress (due to non-residents staying for often long periods) while the other area (Swains Lane, Merton Lane and Millfield Lane), with a few minor exceptions, has much less stress on parking. The majority of the kerb space in the Highgate part of CA-U is on “private” roads, mainly Fitzroy Park (and the roads off it) and Hillway (and the roads off it), but also many other small lanes and alleys. These roads were not included in our study. It is worth noting that the existence of so many private roads (and so much off-street parking) will give rise to different views on the pressures of parking when survey results are viewed street by street. The current CPZ times of 10-12 lead to some anomalous parking practices. The council’s own research shows that people do park up in the two hour bay, pay for the maximum 1.5 hours, and hope not to get a ticket. As there are many such bays, and given (10 minutes) grace time needs to be given to cars, it is simply not possible for parking tickets to be issued to more than a handful of cars. The area has a lot of single yellow lines yet all kerb space should be double yellow or in a bay – for clarity, safety, fairness. We estimate that perhaps as many as 60 new parking spaces can be created in the area by single yellow lines being converted in bays. Some single yellows should perhaps be double yellows, and some double yellows could be parking bays. The areas of “no waiting” hours (beyond 10-12, M-F, of the CPZ) should be reviewed. Why is parking in some areas allowed on Saturdays but not during the week? A non-bay space should either be possible to park in (and be in a bay) or not (and be double yellow). The current set up of varying according to time of day can be confusing. Residents bays could be of different types: some 24/7, some 10-12 as present, some extended to 10-2 or to 10-4, and some could be mixed use (in effect allowing residents to park free in pay/display bays). All remaining bays could be free short-term, loading, electric, disabled, business permit, 2 hour pay/display etc, and a stop-and-shop zone might be worth considering. The research makes it clear that, given the immense diversity of parking demand, hyper local, road by road, solutions are needed for best results. A balanced assessment of the evidence and discussion between the communities and the council (using their data and ours) should help Highgate to get the right parking solution for each road. In conclusion, there is plenty of room for residents and for visitors if the council is prepared to take the stand against on-commuters.